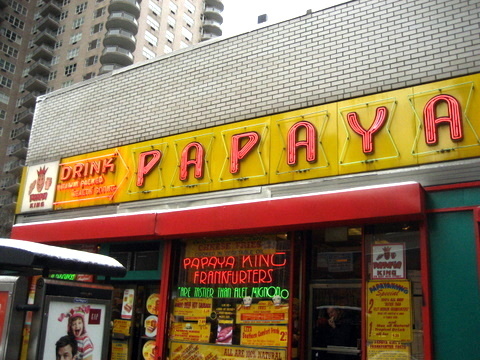 Papaya king sounded like the best ! Happy upcoming New Year 2009 to you, Tangbro. I love Gray's. 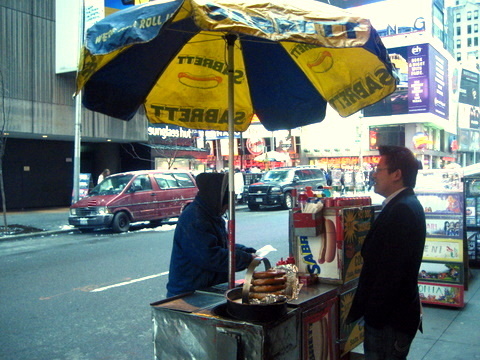 I'm pretty sure the Recession Special was named that well before the economic turndown though. 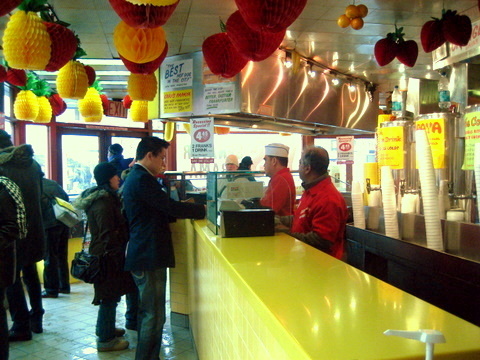 Papaya King was the best. 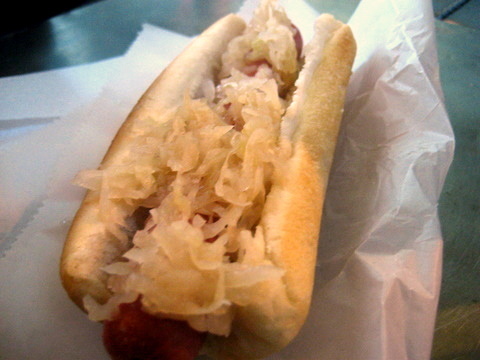 Three hot dogs was a bit much. Thankfully Kevin was there to finish the rest, that guy is a human garbage disposal. 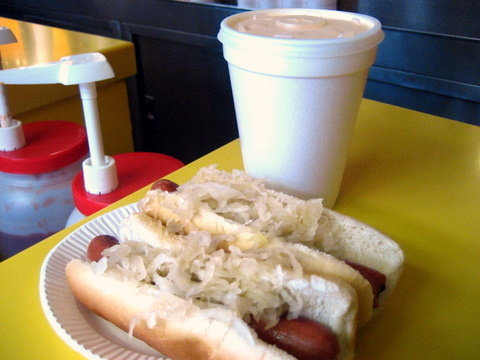 Grays was quite good, and you are correct the recession special was so named 20 years ago. My mistake, lets just say it is aptly named for the times then. sounds like good times! 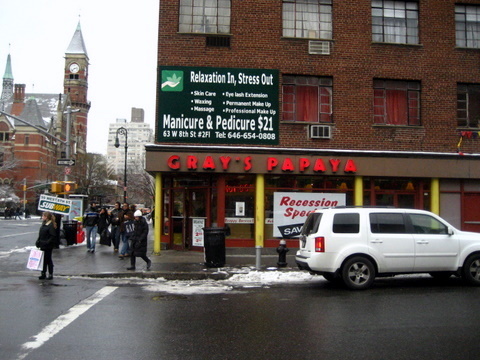 Papaya vs. Gray's.. It doesn't really matter which one at 2am. 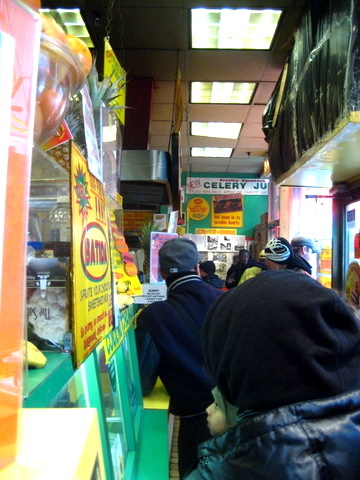 now for that halal cart tasting? 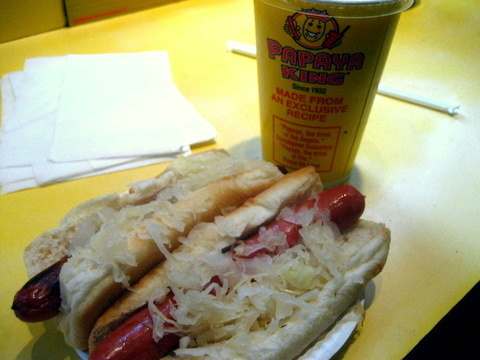 pairing those hot dogs with the creamy refreshing papaya drink.